As I’ve said before, The Estelle was fabulous when it opened, and is still fabulous now. Sadly, the quality of writing about this fine establishment (in the print media, I hasten to add) hasn’t improved. 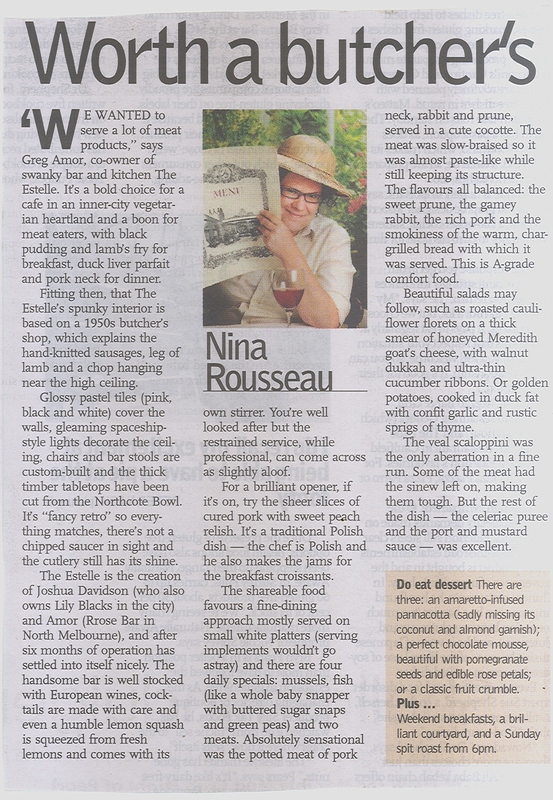 Take a look at today’s Epicure. Pasadena: Me too. What is it with writers who string cliches together rather than actually think up an angle and construct a good article?